What a Gorgeous card !! Shabby Chic gorgeousness at it's best!!! I LOVE this card, Pamellia! But, then again, I love all your cards! The butterfly is so beautiful fromed by the equally beautiful chipboard. Have a Happy Easter! Hugs. Oh my goodness, it's shabby perfection!! Wow!! The papers are beautiful!! I love the way you used the pretty chippy frame to showcase the butterfly!! The laces, the flowers, every single detail is spectacular!! I love this!! It's so stunning!! 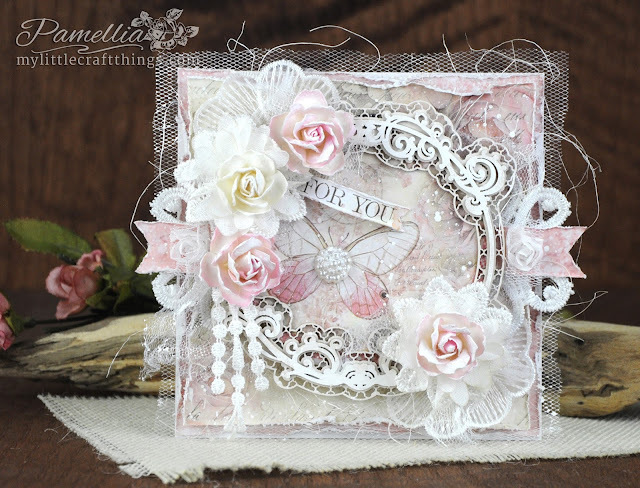 Hi Pamellia, what a gorgeous card, love all the layers and papers, beautiful frame to highlight that special little bit of paper. Stunning card you have created Pamellia, love these pretty papers and wonderful layers. 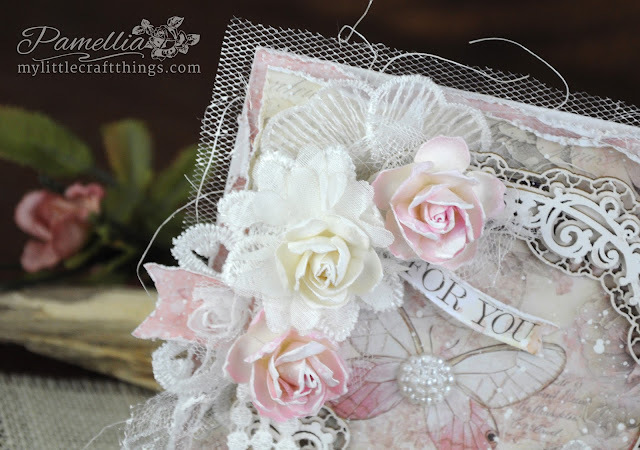 A gorgeous card, perfect layers and details. I hope you get out on your walks again soon as the weather improves. 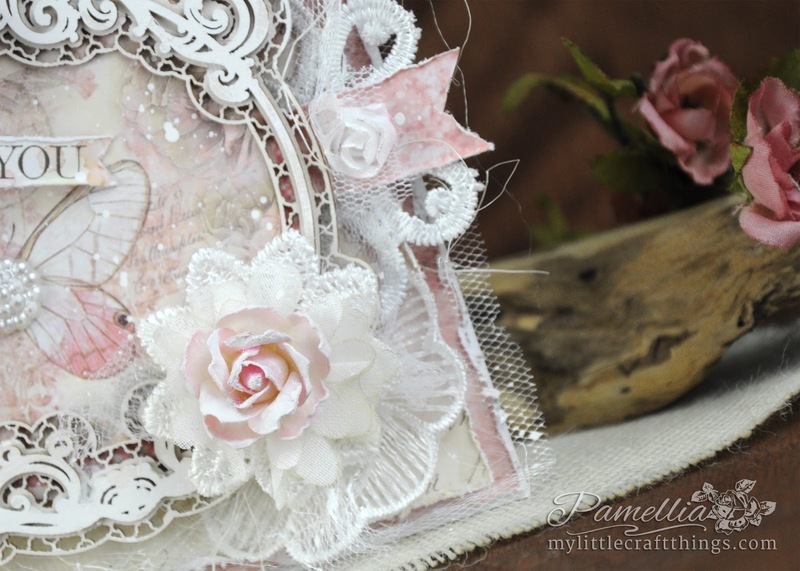 Adorable sweet card Pamellia, love so much its delicate feel, and that elegant frame does a perfect focal point for the gorgeous butterfly! I's very strange, "Stamperia" is the unique Italian brand of design paper, but this paper there isn't in Italy, as well all the other papers on the shop you linked! :O Such a shame... They are really gorgeous. Big hugs, have a lovely Easter my friend! A beautiful card Pamellia - love that wreath die cut that you have so wonderfully featured in the centre of you card. what a amazing and very stunning card. It is sooooooooooooo! beautifully created and such a gorgeous design too. Love the papers used and that frame is so stunning. Gorgeous flowers and beautiful layers also. As always your photos are excellently captured. Such a pretty card Pamellia! 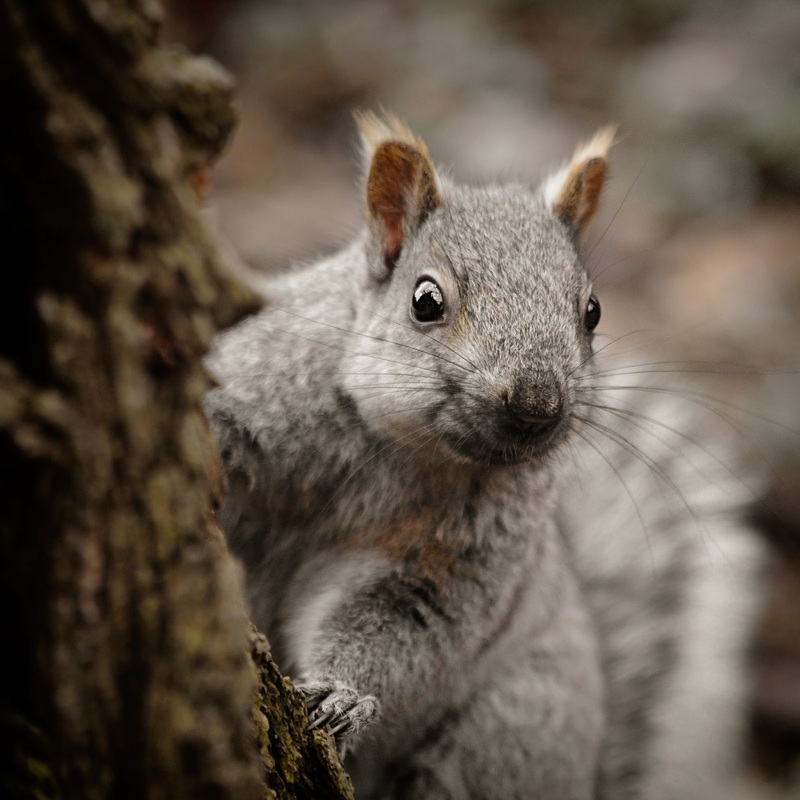 And as always, your furry friends are just delightful! Ihope you will be to go back out again soon. 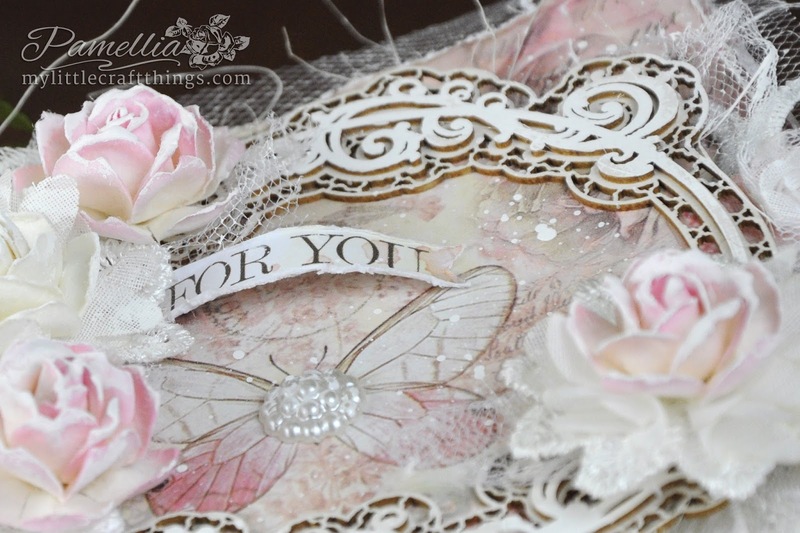 Wow, this is so beautiful, I love all of your gorgeous lace and pretty flowers, great colours too. 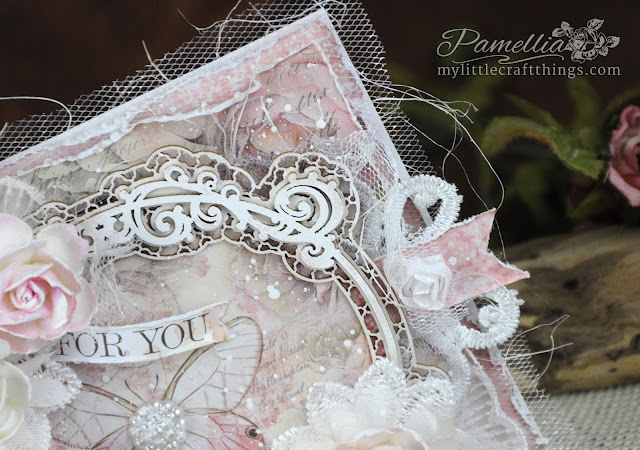 Your card is quite simply exquisite Pamellia, I love the Scrapiniec is gorgeous, as are your other soft toned embellishments and the wonderful Stamperia papers. SoooooooooPretty Pamellia with all those dreamy marshmallow colours.another treat from you. Have a lovely Easter and not to many eggs. So very pretty, Pamellia! That frame is stunning and you have used it to it's best advantage, framing the butterfly and sentiment from those gorgeous papers. 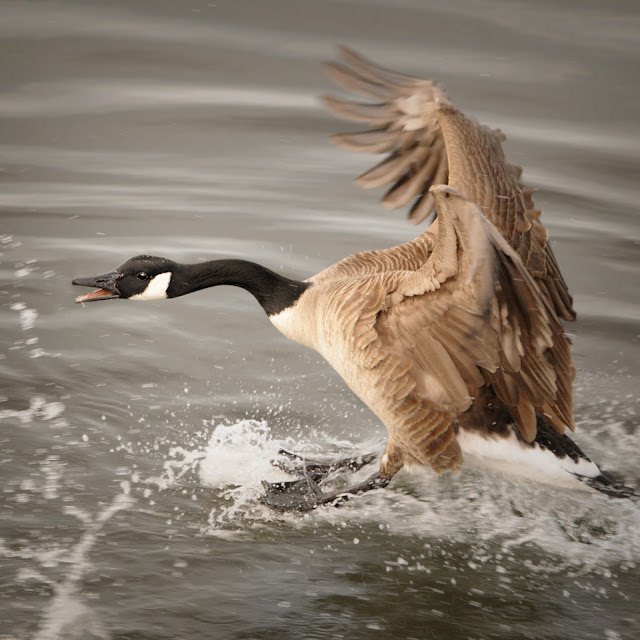 Spring has sprung on your blog! 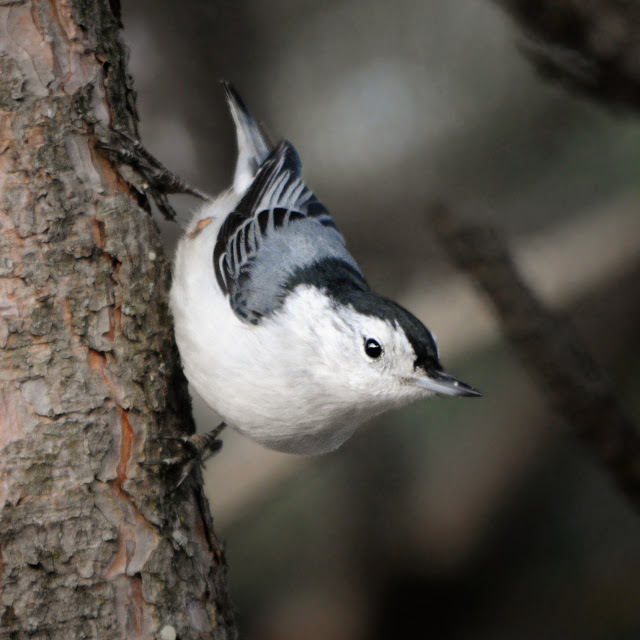 Love seeing the birds, and I think your nuthatch photo is just perfect! 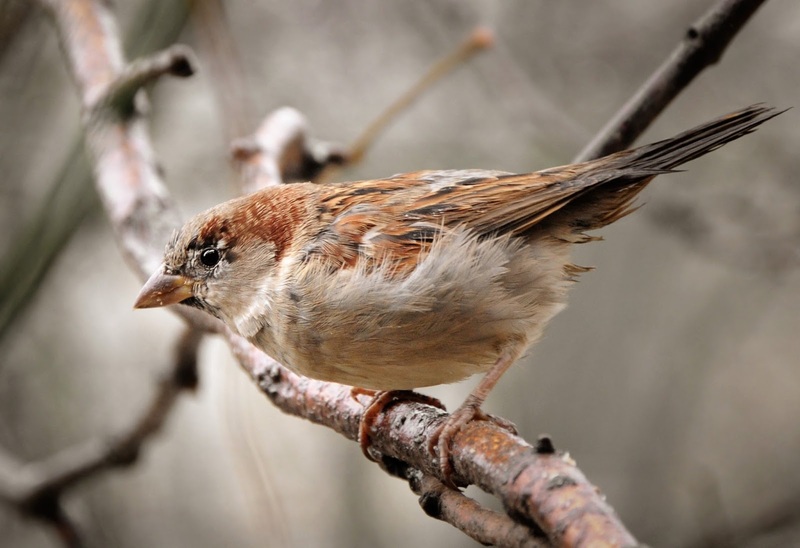 You are blessed with so many varieties of birds! 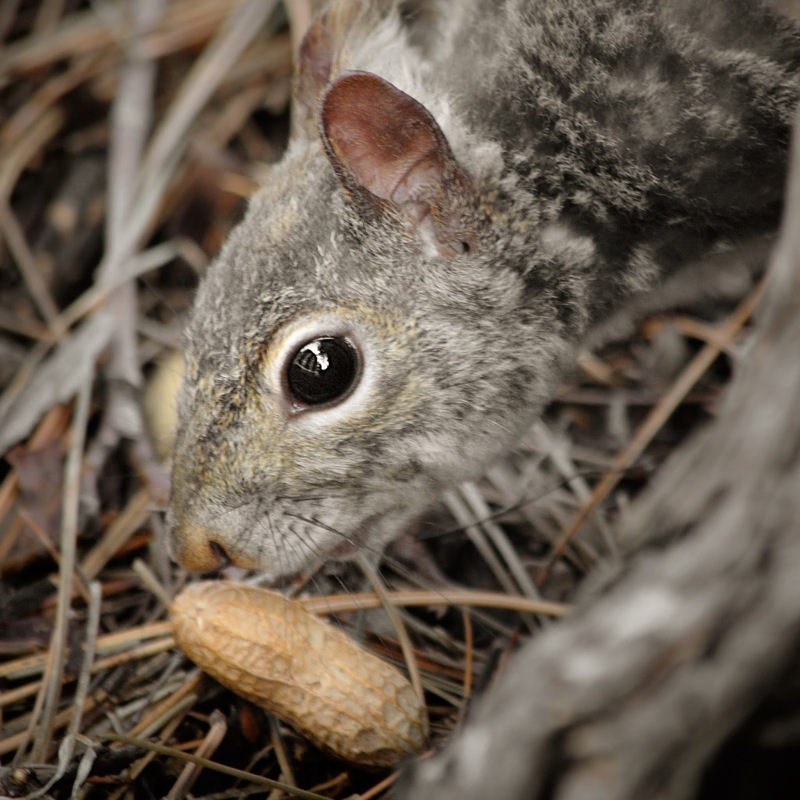 Would love to know what type of seed these little guys prefer. I think I may start feeding the birds again. Sending hugs! Gosh, I didn't realise it has been so long since I was last here. This card is exquisite Pamellia! Don't think I've seen a square card from you before and I really love it! So delicate and so beautiful! 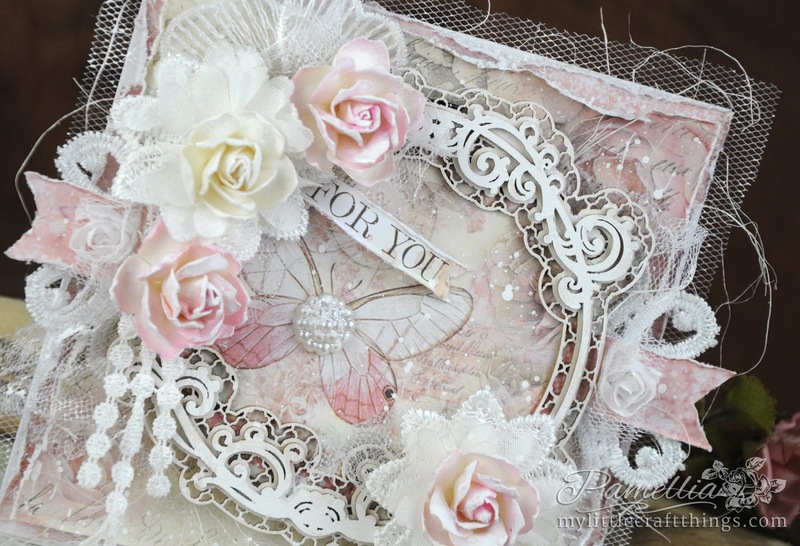 That Scrapiniec frame is stunning and I adore all the beautiful lace pieces you have used as well as those gorgeous papers. How bloomin gorgeous is this? Fandabeedozee! The laser cuts you have been using are divine. Hope you get out and about soon. Your trail buddies will be missing cookie lady. Oh My! This card is awesome. 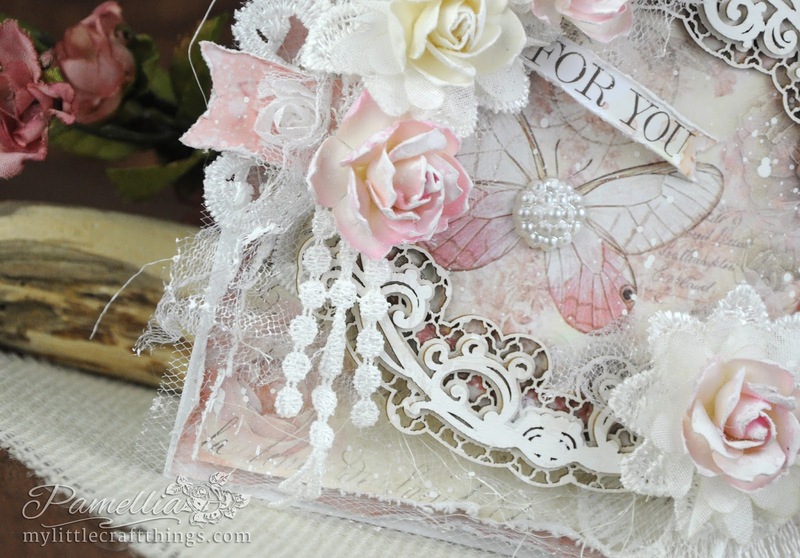 So very pretty, I love the lace and flowers and the cute butterfly design. Sorry I have not been by for a while but I am trying to catch-up again. 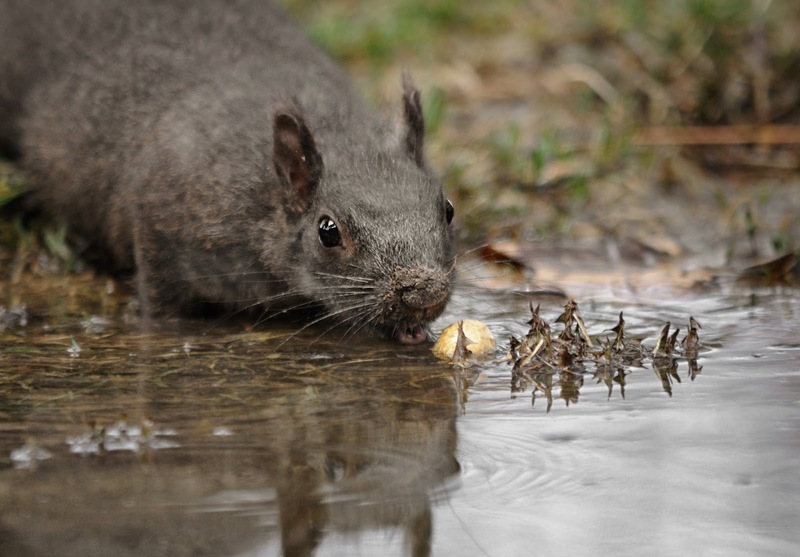 I hope you are good and enjoying the spring weather. PS I may not stop by as often as I use to but you are always in my thoughts my friend.